Manchester City have made an improved £40m offer for Raheem Sterling, but Liverpool are expected to reject the latest bid. Having had an offer of £25m plus £5m worth of add-ons turned down last week, City have upped what they are willing to pay by £10m. However, that still falls short of the £50m minimum Liverpool believe the 20-year-old is worth and they are likely to turn down the offer. Sterling has already turned down Liverpool’s offer of a new £100,000-a-week contract and told the club that he will not sign a new contract with two years left on his current deal. The England international is supposedly keen to join City with reports circulating on Wednesday that the club’s latest offer is their final bid. Last week’s initial bid was immediately rejected out of hand by the Merseysiders and while this one has not been given the same treatment the outcome is likely to be the same. 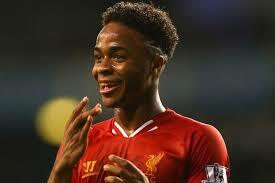 Liverpool have always maintained they do not want to sell Sterling, who has two years remaining on his contract, but there is no doubt the situation has deteriorated since the youngster turned down a new deal in January. His agent Aidy Ward’s subsequent claim that his client would not even sign for “£900,000 a week” prompted Liverpool to cancel a scheduled meeting to reopen talks in May. But last month the manager Brendan Rodgers said he expected Sterling to remain at the club and, at that point, they were still planning talks before the end of the season to try to extend his stay – even after Ward’s comments threw a spanner in the works. “Raheem has two years left and I expect him to see that two years through and continue to behave as immaculately as he has done,” said the Reds manager at the time.